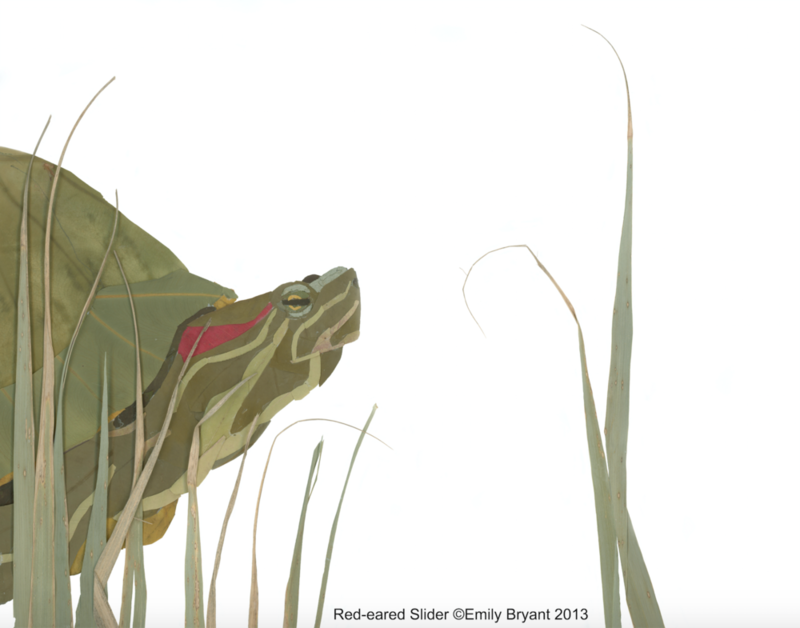 I asked artist Emily Bryant the story behind her stunning invasive species art -- see what she said about her work below. To learn more (and snag some prints of your own!) visit her Etsy shop. Invasive species are species that are introduced purposely or accidentally to an area they do not inhabit naturally and damage local ecosystems by out-competing the species that are native to the area. Most invasive plant species are pulled by hand and burned or treated with herbicides. While working with the invasive plant strike team at Cleveland Metroparks, Emily explored ways to incorporate the plants into art that could be used to educate the public on the dangers of spreading non-native species. This resulted in the creation of Bryant's invasive species collages, which are made from leaves, stems, and flowers from invasive plants that she collects, presses, and adheres with plant-based glue. The collages feature different invasive species, commonly insects, that are making a negative impact on local ecosystems. Emily Bryant was born and raised near Cleveland, Ohio. Drawing animals from a young age, her fascination with wildlife led her to pursue degrees in Sustainability and Studio Art. While completing her education at Baldwin Wallace University, Bryant began to explore how sustainability could be incorporated into art. Using sustainable materials, such as invasive plant material and packaging waste, Bryant produces art with environmental messages and hopes to inspire others to explore and conserve the natural world.